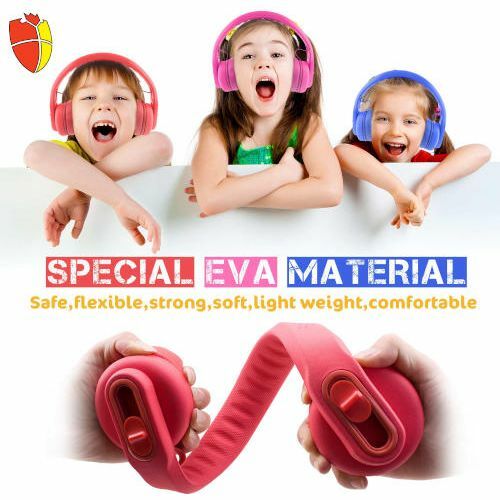 Designed for children and teanagers, these robust super flexible kids headphones allow you to protect their hearing by restricting the volume to a maximum of 85 dB, so that young ears cannot be harmed by having the volume too loud. These headphones feature a "Shareport". So there is no need for a splitter as another headphone can plug into a socket on the other side of the headphone. 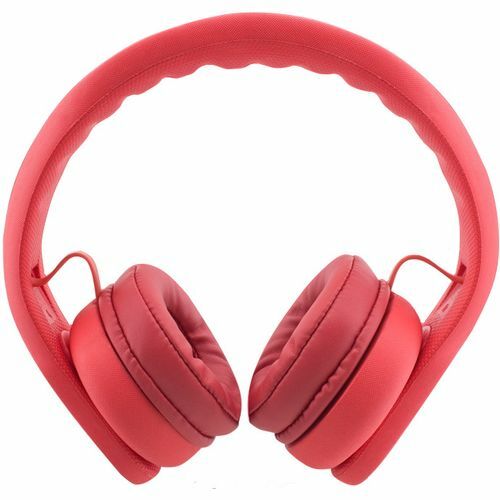 Normally 4 headphones can be connected from a single audio source without any discernable loss of volume. Up to 6 headphones connected onto a single audio source is possible, but a slight sound reduction might be noticed. 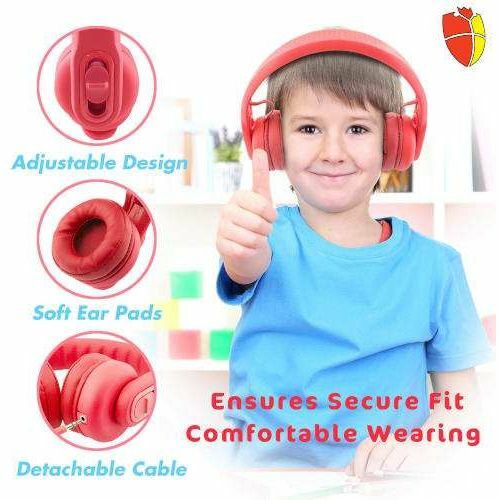 These headphones include an adjuster to allow for children and adults alike to wear them in comfort. The lead is 120cm approx in length and is detachable and so should not be damaged by walking away without disconnecting. Manufactured from safe, soft, bendable, non-toxic EVA foam. Universal 3.5mm stereo plug for use with PCs, iPads/Tablets, all popular smart phones, iPads, MP3, DVD players etc. Recommended for children age 6-18, (Key Stages 1-5).